Paris remains prominent in the news, thankfully, this time it’s because the world’s leaders are in the city to discuss how we’ll avoid dangerous climate change. It comes on the back of the recently agreed Sustainable Development Goals which I drafted a blog on a few weeks back. This is the first big test of those SDGs in my opinion. I mean, if the SDGs can’t be translated into meaningful commitments towards reducing greenhouse gas emissions what is the point of the SDGs at all? Let’s hope those world leaders come away with something meaningful. Let’s hope the debacle of Copenhagen 2009 is avoided. Let’s hope that developing and developed nations can work collaboratively to achieve this objective. If not, we’re doomed. How do we know? Well as Mark Maslin, Professor of Climatology at University College London, explains – we do know climate change is happening. In fact, I urge you to read this superbly succinct piece to remind yourself of exactly what is known about the causes and the effects. “Fundamentally, I want energy policy to be boring”. Oh. I’ve just read Amber Rudd’s speech on a new direction for UK energy policy (Source: Amber Rudd’s speech on a new direction for UK energy policy – Speeches – GOV.UK). I have to say, nothing in it surprised me. She wants it to be boring. I’d like it to be a little more enthusiastic, exciting and innovative. It chimes with the Conservative approach to energy policy we’ve seen before. It even celebrates the sell-off of the UK’s energy assets. This Government is focused on securing a better future for Britain. We’re encouraging investment in our shale gas exploration so we can add new sources of home-grown supply to our real diversity of imports. We know competition works. It keeps costs low and can deliver a clean and reliable energy system. It’s about the long term security of our energy supply. And my view is that is best served through open, competitive markets. And I can say to Europe that Britain stands ready to help make this vision a reality. Opponents of nuclear misread the science. It is safe and reliable. So our approach will be different – we will not support offshore wind at any cost. It’s pro-nuclear, pro-fracking. With regard to heat: “We will set out our approach next year, as part of our strategy to meet our carbon budgets.” Disappointing given the good work done by DECC on its Heat Strategy not so long ago – and still a long way down the contents of her speech unfortunately. Pleasingly: To set an example to the rest of the world, the UK also has to focus on where we can get the biggest carbon cuts, swiftly and cheaply … and Innovative, new suppliers, which range from start-ups to local authorities, are demonstrating how competition is working for people. Deep, deep in the statement a final mention for energy efficiency: More than 1.2 million households are seeing lower bills due to energy efficiency improvements over the last 5 years. We are committed to ensuring a million more get the same benefits by the end of this Parliament. But no mention of the Green Deal, the commercial opportunities in energy efficiency nor the links with housing policy. Boring? Is that the same as ‘unsurprising’? Author Andy NolanPosted on November 18, 2015 November 24, 2015 Categories UncategorizedTags Amber Rudd, climate, Coal, DECC, Energy, Fracking, gas, Heat, Nuclear, policy, Shale2 Comments on “Fundamentally, I want energy policy to be boring”. Oh. Recently, The University of Nottingham reported that it contributes £1.1bn a year to the UK economy and supports around 18,000 jobs across the country according to a new report. ‘The Economic Impact of The University of Nottingham’ – outlines the wider economic, social and cultural impact the University has on the city of Nottingham, the region and the nation. According to the report, the University is one of the East Midlands’ most significant institutions, with 92 per cent of its workforce living in the region, and one in every 24 jobs in Nottingham being reliant in some part on the University. The total economic impact generated across the East Midlands each year by the University is £781m, and along with its £500m research portfolio, the University is at the heart of the Midlands Engine for Growth. A recent briefing suggests there is a clear role for district heating. This study mapped heat resources in EU27 Member States, using data from 2010. The research, which forms part of Heat Roadmap Europe – a research project investigating energy efficiency measures in the EU’s heating and cooling sectors – assessed the annual excess heat produced by the energy and industry sectors in Europe using CO2 emissions data. The development of ‘modern’ district energy (DE) systems is one of the best options, according to the United Nations Environment Programme (UNEP) in a new publication: District energy in cities – unlocking the potential of energy efficiency and renewable energy. Launched at the International District Energy Association’s (IDEA’s) annual conference last month, the report calls for the accelerated deployment of DE systems around the world. The full report is available here. The UK Government’s own Heat Strategy states that producing heat is the biggest user of energy in the UK and in most cases we burn gas in individual boilers to produce this heat. This is a wasteful method of producing heat and a large emitter of CO2, with heat being responsible for 1/3 of the UK’s greenhouse gas emissions. Household heat demand has risen somewhat over the past 40 years from 400 TWh/y to 450 TWh/y, despite a marked improvement in the energy efficiency of homes and a slight reduction in the severity of winters. The average internal temperature of homes has risen by 6°C since the 1970s, and this combined with growth in housing – the number of households has risen by around 40% since the 1970s – has offset energy efficiency gains in terms of total energy used to heat homes Some studies suggest these temperature increases are due to factors including the move to central heating, rather than householders actively turning up their thermostats. 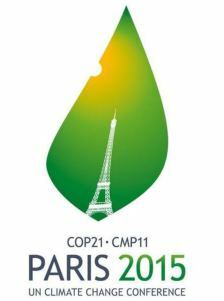 The collective voice of the world’s universities, colleges and students will be heard at COP21. The United Nations Climate Change Conference takes place in Paris, France during the first week of December. A global alliance of tertiary and higher education sustainability networks jointly issued an Open Letter urging Ministers and Governments to acknowledge and strengthen the research and education role that universities and colleges play in addressing climate change. With networks on every continent pledging signatures, the global alliance already represents more than 3000 universities and colleges worldwide, including also NSCN.